Situated in the Eastern province of Rwanda, Akagera national park is Rwanda’s hidden jewel, which reward travelers with a huge chance to experience wildlife from very close by. Covered with beautiful green savannah grasses, a safari to Akagera national park is an exceptional experience which reward travelers with the most beautiful and heart-warming experience of meeting and interacting with a variety of wildlife and birdlife. Despite its small size Akageranational park offers it all to meet and exceed every travelers expectations. The national park was named after river Akagera that flow in the heart of the park. Despite the less visits to Akagera compared to other savannah national parks in the neighboring countries, a safari to Akagera national park is unique is an exceptional experience. Interestingly, Akagera national park is now a home for the big give game hence the best spot for game viewing. A game drive in the open savannah reward you with spectacular views elephants, lions, rhinos, buffalos, Leopards, giraffes, Topis, bushbucks, Topis, Zebras, Defessa waterbucks, baboons, Vervet monkeys, giraffes, oribis, roan antelopes, sables, reedbucks and kobs among others browsing and hunting before going to rest. The best time for game driving is early morning hors to catch u with early risers and early evening before animals for rest in the night. Interestingly, night game drives are also done in Akagera national parkproviding travelersachance to see nocturnal animals such as bush babies, bat eared fox, wolves among others as well as enjoying nightlife in the wild. Besides wildlife, Akagera national park isa best spot for bird watching. 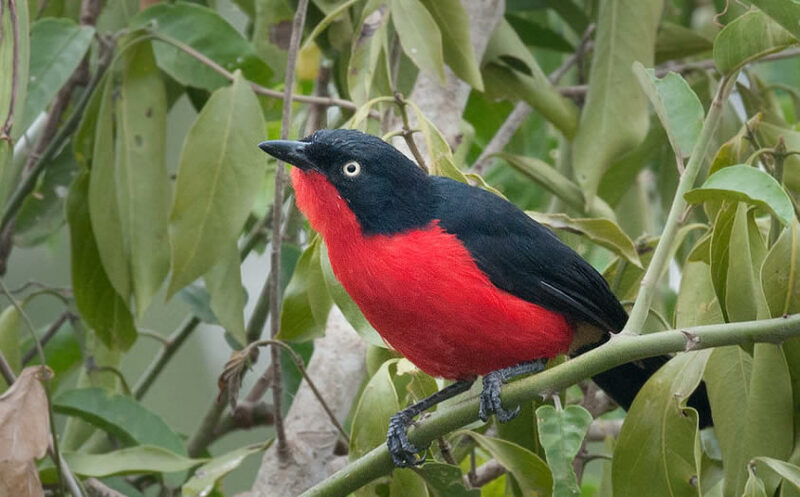 The national park is a home to over 520 bird species some of which are endemic to the area hence a golden opportunity for travelers to see theserare bird species. Expect to see white-collared Oliveback, red faced barbet, Sousa’s shrike, Black headed Gonalek papyrus canary, Serinus koleinsis, saddle-billed stork, Fork railed drangoross’s turaco, African fish eagle, herons, Egrets, Crested barbet, open billed stork Marabou storks, Robinchat, African fish eagle. Birds are mostly seen in the swamps, forest areas and on the shores of lake ihema especially during a boat cruise. Travelers are reminded to come along with binoculars, which help to spot birds even a far distance. Camping is yet another interesting activity donein Akagera national park and it is one of the unique activities that make the national park exceptional worth visiting. In camping, tents are built in a certain place for travelers to enjoy a night in the middle of the bush providing them with a closer encounter with wild animals and is a best way to explore all that Akagera offers. Presently, three campsites, which are Shakani Akagera campsite on the shores of lake shakani, Mutamba akagera campsite and Muyumba campsite at the ridge. 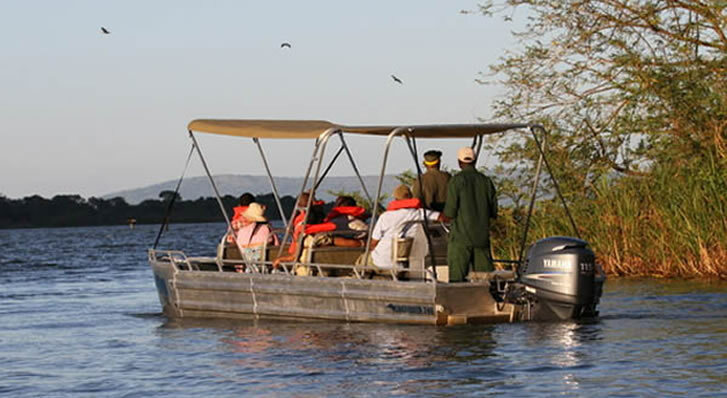 Done on lake ihema, boat cruising is a not miss on your safari to Akagera national park. The ride at the lake rewardyou with great views of hippos, buffalos, crocodiles on the shores which experience cannot be got else where in Akagera national park. Additionally, expect to see a variety of birds such as shoebill stork, fly egrets and red-billed stork among otters. More still, a boat cruise provide you with a fresh feeling of fresh airs as well as spectacular views of the neighboring communities. Boat cruising is mostly done in the afternoon hence a best way to relax and chill. Sport fishing is one of the interesting games done in Akagera national park. Travelers take part in a“catch and release fishinggame’, which is surely enjoyable. Sport fishing is doneon lake shakani and lake ihema at a cost of 20$ for the people who help in fishing. Travelers go along with other fishermen who use different fishingmethods such as hooking, gill nesting, spearing andshooting method, cast net method, scoop net method and lampara method are used to catch fish by different people of different occasions. As part of the experience, travelers are expected to catch a live fish and release it back into the water. Since Akagera national park is managed in partnership with the local communities, travelers are blessed to meet andinteract with local people. It’sinteresting that some part of the national parkwas dedicated to local people who do their cattle grazing which feed with other wild animals. Travelers take part in cattle grazing, milking and other local activities such as milk preservation, as well as make milk products such as ghee, butter and yogurt among others. This make the feel as part of the local community providing them with extensive understanding of how community traditions and norms. Book a safari to Akagera national park, take part in the activities, see all attractions rewarding you with a life changing experience. This entry was posted in Rwanda safaris and tagged Akagera National Park Rwanda. Bookmark the permalink.